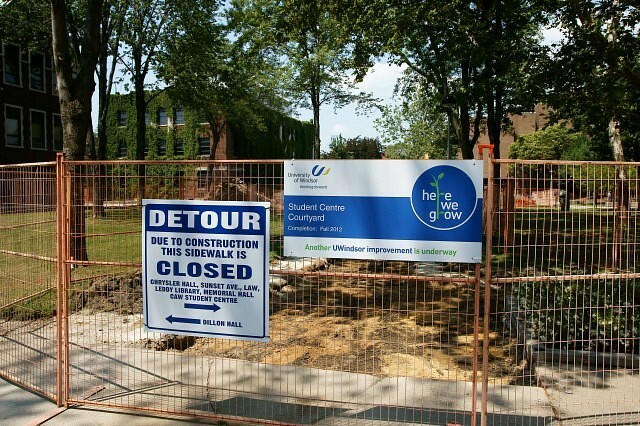 Work is taking place to transform and landscape the centre of the University of Windsor campus into a more inviting pedestrian area. The “Dean’s Corner” as it was previously called is being reconstructed into the “Student Centre Courtyard”. It will feature new concrete walkways with coloured edges, curbs, retaining walls, new trees, flower beds, redesigned grass areas and new places to take a seat. 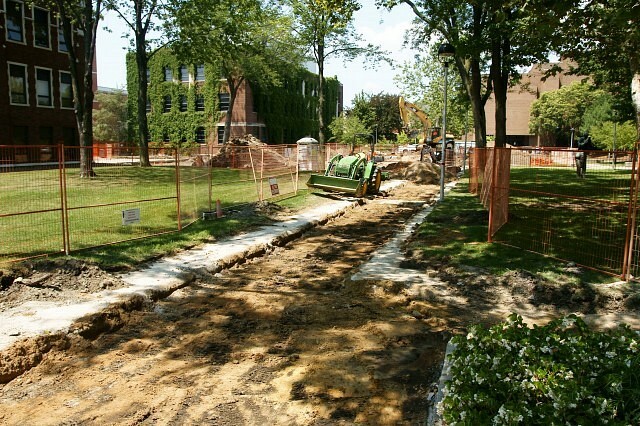 Contractors are also digging down to the area of the University Tunnels to better insulate them. Work on the Courtyard is expected to be complete by August 24th.